Bermuda’s representatives have just completed the preliminary visit to Gotland to view arrangements for the 2017 NatWest Island Games. The visit took place with representatives from all 24 participating islands and culminated in the annual general meeting. 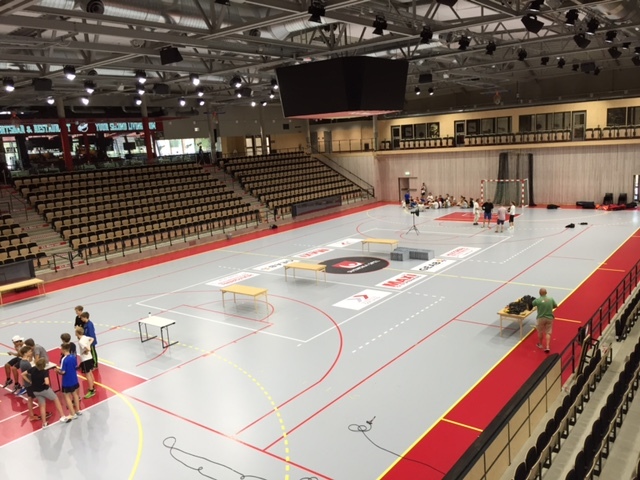 “Among the stand-out facilities was a new government built basketball stadium that will house Gotland’s team that play in the Swedish league. “Situated 30 minutes flight time from Stockholm this medieval Swedish island welcomes a million visitors a year. This week they expect 35,000 people for the Swedish political week.